Cape Town - Kaizer Chiefs football manager Bobby Motaung says the club are ready for compete for the PSL title after the conclusion of the transfer window. Despite an indifferent start to their campaign - with the Glamour Boys yet to record a win in three games played - Motaung believes the team are ready to compete for the league title. The Soweto giants released a club statement after the conclusion of the transfer window in which Motaung shared his optimism that the new signings would make an immediate impact. Following the window period closure at midnight in the domestic league, Kaizer Chiefs are ready to compete fiercely in the 2017/18 season to build on the tradition of winning silverware the club has enjoyed over the years. 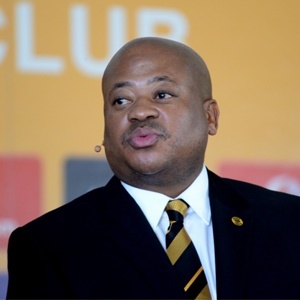 Even though the start of the new season was not what the club had hoped it would be, Kaizer Chiefs’ Football Manager Bobby Motaung believes the club has had a solid pre-season and is optimistic that the new signings will help ignite the season. “We also announced the promotion of four players from the development ranks to join the first team for the 2017/18 campaign,” says Motaung. “Goalkeeper Bruce Bvuma and three midfielders Khotso Malope, Wiseman Meyiwa and Nkosingiphile Ngcobo are the four players who have been officially been promoted to the senior team. “The club invited a number of players for assessment during the pre-season in a quest to bolster the striking force. Jonatan Phillipe from Argentina and Okikiola Afolabi form Nigeria and Abdalla Hussein Kilala from Tanzania were given a chance to train with the team. However, after consultation, the technical team decided against keeping them and were thus released,” says Motaung. “Our search for a formidable striker does not end with the window period closure - we will cast our net far and wide and will not stop searching until we find our man,” he adds. Motaung assured the supporters that the club and technical team are listening to their pleas and will ensure that the club’s fortunes change for the better soon. “We have been listening to our supporters and we hear their voices. We acknowledge their role and need to know that we are united in this battle of bringing the glory days back,” he concludes. Some of the new players are expected to get a run when the league resumes after the FIFA international break.